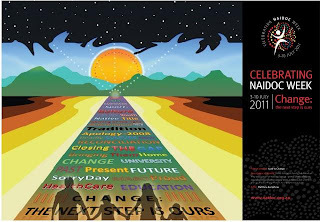 The 2011 NAIDOC Poster is available from www.naidoc.org.au. The poster was created by Matthew Humphries and is titled Road to Change. Description of work: A First Australian family link hands as they step out on the road to change – proud of who they are, encouraged by what has already been achieved and united in their goal to be changemakers for a bright new future. You can see the 2010 NAIDOC poster here. Want to celebrate for more than a week? Why not celebrate for a whole month! Blak History Month is a grassroots movement that is celebrating Aboriginal and Torres Strait Islander culture, people and communities for the whole month of July. You can order a Blak History Month poster created by Sam Cook from Kiss My Blak Arts from the online store, RedBubble, and you can download free resources from my Blak History Month for Teachers website. 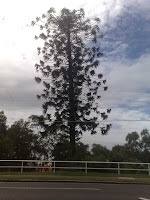 Historically, many east-coast Australian communities have paid little attention to the cultural history of their places. Most communities proudly display plaques to their war dead, the young men and women from families that marched and died on battle grounds in Europe, the Pacific, Asia, Africa and the Middle East. Occasionally there are plaques to explorer and settler families, but quite often these are held in the naming of places, streets, parks, mountains, and hills. Generally there is little recognition of the people who walked and lived the land we now know of as Australia, since time immemorial. Gathering and then curating this knowledge and information to suit classroom purposes is our modern day challenge. Quite often information is held within individual families, but mostly it's in the archives, in old newspapers, explorer/settler diaries and/or historical books that are out of print. Some of this information is on the web, but most is on shelves. 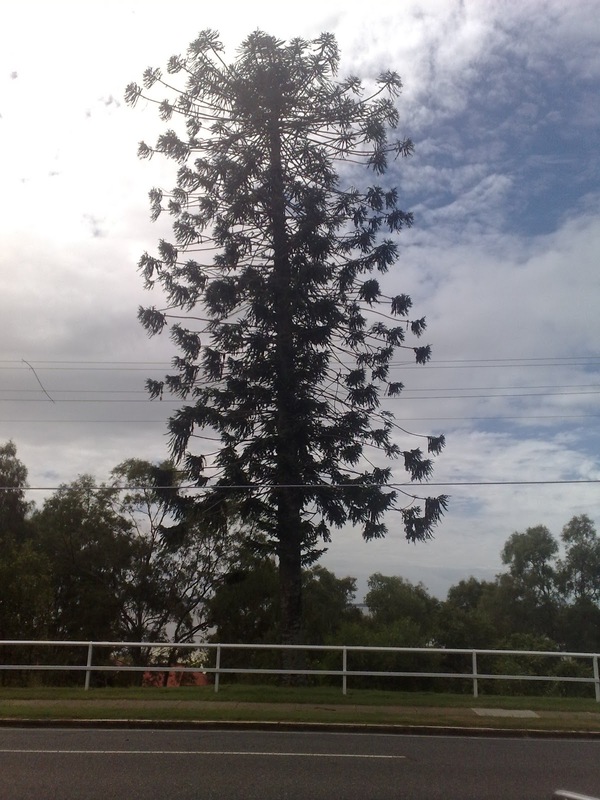 The community I live in, Everton Park in the north-west suburbs of Brisbane, is one such place. Over the past few years I have slowly cobbled together some information in my spare time. My first effort at compiling information in a way that was presentable was using Google Maps. I was inspired by Stilgherrian's 50-50 project. Using a word list from Tom Petrie's Reminiscences of early Queensland, I used place markers to mark the Aboriginal names of places throughout Brisbane. My next effort was in creating a Picasa/Google album of Aboriginal Place Names. Unfortunately, life has got in the way of my extra-curricula activity and I've not progressed as far as I'd like - still so many places still to add. This is one of the on-going barriers to the challenge of curating information for a specific purpose - time, energy and focus. The other key challenge comes in making sure that any texts (in the form of maps, albums, podcasts or books) is done in a way that is appropriate to the memory of Aboriginal peoples of the past as well as respectful of Peoples that live in communities today. A recent query from a teacher at the local primary school has prompted me to compile what I have so far here in a a public Google document . I suspect that much of this information would work well and be useable in a blog format - perhaps I'll leave that one for an empty weekend. What tools have you used to gather and present information about your community? What are some of the barriers or challenges you have faced? Update - I'm not certain if the Map link is working. I'm going to try to embed the map below to see if this works.